A Statement for your Neck! 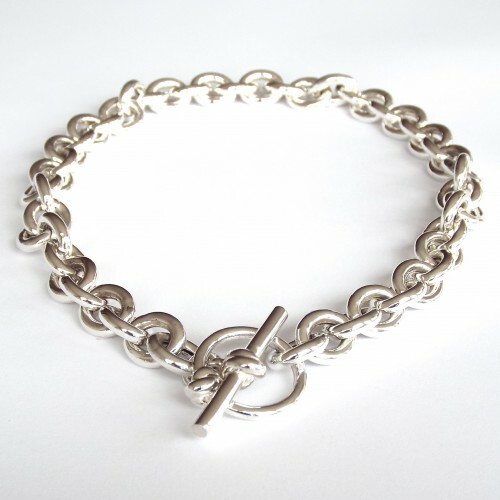 Necklace with large oval sterling silver links and a toggle closing that carries the signature MMzS Knot Design. 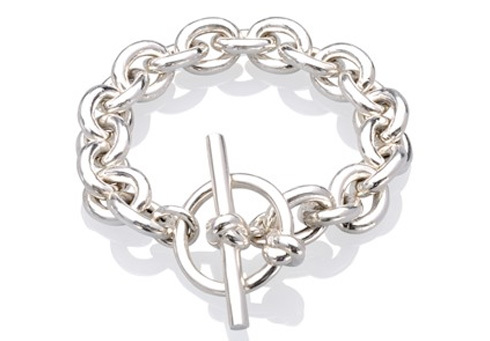 This necklace matches the Chunky Link Bracelet. The necklace is very sturdy yet lightweight – the toggle is made of solid silver, the links are also made of sterling silver and are hollow.